The Star Wars Suites is a musical spectacle shown for the first time ever in the Netherlands. Over 150 musicians of the International Symphony Orchestra from Lviv will bring the Star Wars music to life. Conducted by Raymond Janssen, they will play the world-famous Star Wars soundtracks and a few of Raymond’s favorite music pieces from other classic films. With this, appealing to both fans of the movies as well as classical music enthusiasts. Together with the New Romanian Symphonic Choir, the orchestra will make this into a concert to remember. 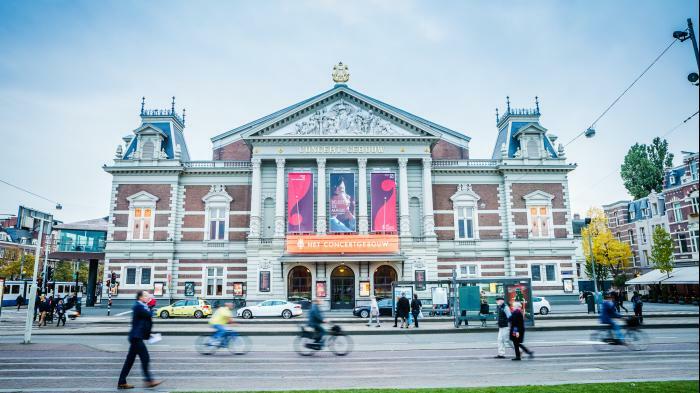 This unforgettable musical experience will take place in the main hall of the iconic Concertgebouw, which is known to be one of the best concert halls in the world. The acoustic is exceptional, and the historic décor makes for a special atmosphere. In this same hall musicians such as Leonard Bernstein, Vladimir Horowitz and Yehudi Menuhin gave outstanding performances. There are still a few tickets left on the website, so be quick! Thursday 15 November 8.15 p.m. Tuesday 20 November 3.00 p.m. and 8.15 p.m.